Back in 1925, oystermen harvested an estimated 6 million to 8 million bushels of oysters from Chesapeake Bay. 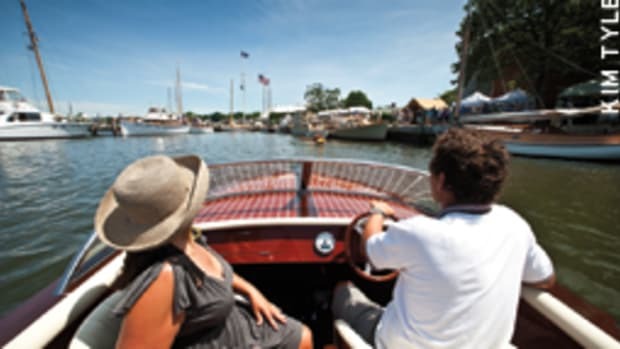 That year, the buyboats Nellie Crockett and Agnes Sterling were launched on opposite sides of the Bay — from Crisfield, Maryland, and Amburg, Virginia, respectively. About 5,000 of these boats — deckboats that transferred oysters from smaller boats to wholesalers ashore — were built, making them one of the most prolific working craft ever to ply the Bay. Ninety years later, the oyster harvest and buyboat numbers have dwindled significantly. 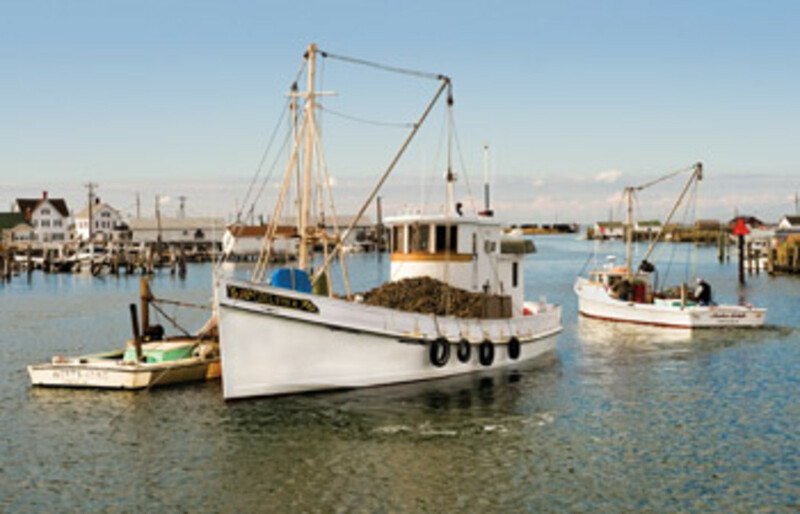 The Chesapeake Bay oyster catch today is counted in the hundreds of thousands of bushels instead of millions, and fewer than 50 of the original 5,000 buyboats are known to survive. 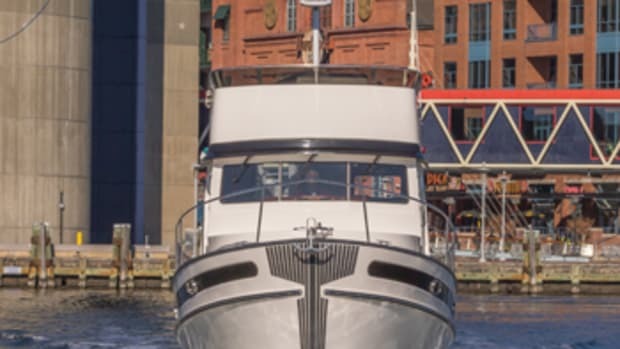 But despite those numbers, buyboats can still be found on Chesapeake Bay from Georgetown, Maryland, to Norfolk, Virginia, and beyond — if you look in the right places. Buyboats are probably best known for the service they provided, purchasing oysters directly from watermen out on the oystering grounds. The arrangement was convenient because watermen didn’t need to stop oystering and offload dockside. 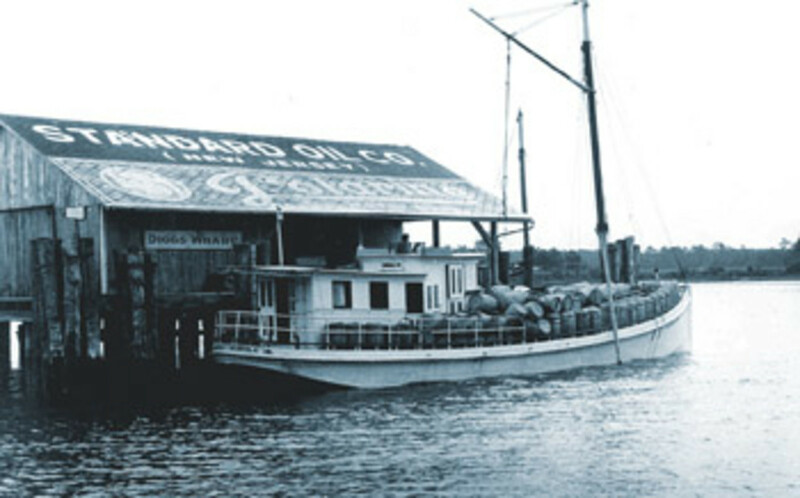 Once a buyboat had taken on as many as 2,700 bushels of oysters, the buyboat skipper would take the tasty bivalves shoreside to be shucked and processed. Buyboats did more than ferry oysters, though. These vessels hauled everything from fuel oil and muskrat pelts to watermelons and mail, having been called freight, deck and packet boats long before anyone called them buyboats. They thrived at a time when there were few highways and bridges around Chesapeake Bay, making railheads at ports such as Baltimore, Washington, D.C., and Crisfield, Cape Charles and Norfolk, Virginia, vital to the Chesapeake economy. These boats ferried the critical cargo of the day between smaller port towns and larger railheads for shipment to East Coast cities. A little more than half of the buyboats launched were built on railways and farm fields in Virginia. Towns such as Deltaville, Reedville, Poquoson and Crittenden were hotspots for buyboat construction. Maryland produced a fair number of these stout vessels, too, in ports such as Crisfield, Deal Island, Pocomoke and Nanticoke. 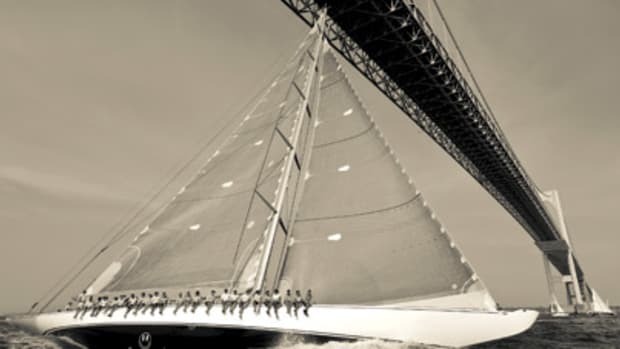 The earliest motor-driven buyboats evolved from sail-powered bugeyes and schooners that were converted to power when gas and diesel engines became more readily available — and reliable — in the early 20th century. There were a variety of construction methods, but the majority of these vessels were built with Atlantic white cedar, loblolly pine and white oak. A handful were built as if they were giant log canoes, using a method in which six to eight pine logs were bound together and shaped by hand with adzes and axes to form a hull. Think of a traditional Native American log canoe but on a larger scale. 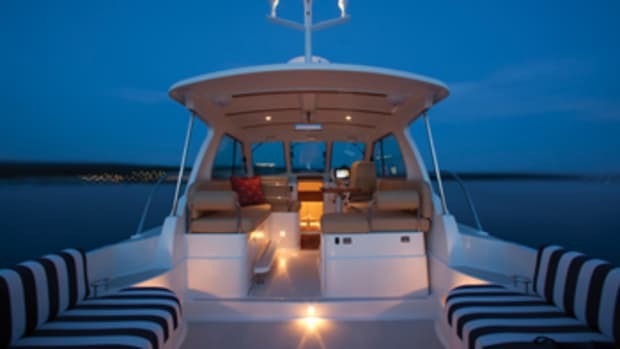 A typical buyboat of the day measured anywhere from 50 to 65 feet, with a beam of about 20 feet and a 5- to 6-foot draft. 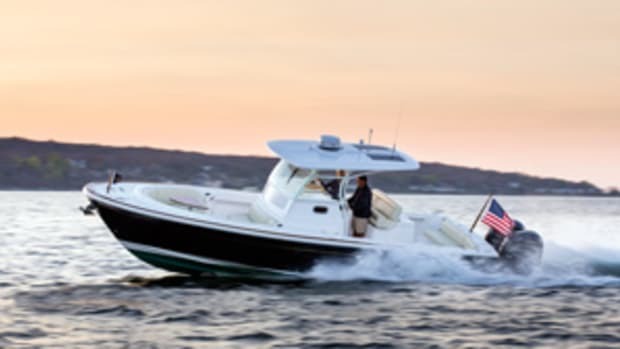 Many of today’s surviving examples are powered by 250- to 300-hp diesels that give a 6- to 8-knot cruise and a 10-knot top end. In the extreme, there were a few buyboats that measured more than 100 feet; others had peculiarities such as double-decker pilothouses. There’s one thing for sure: They’re all unique. 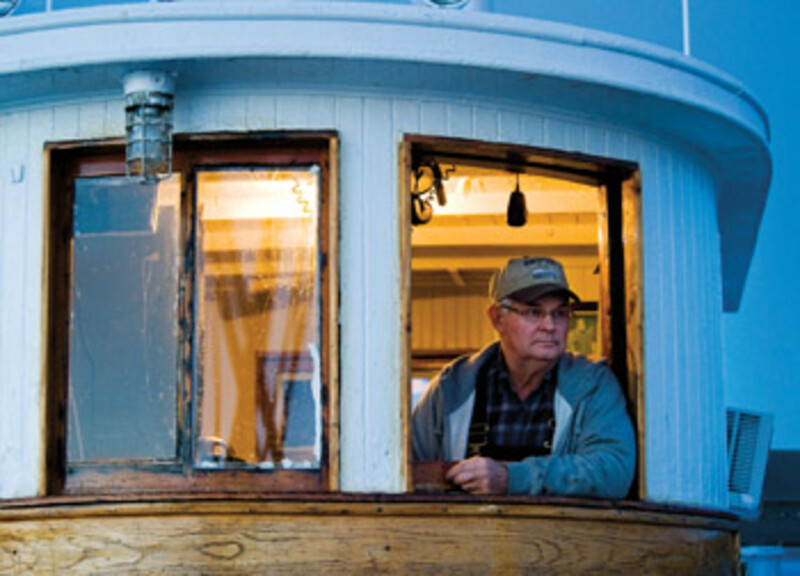 Ted Parish is a Delaware Bay pilot who owns the 1925 buyboat Nellie Crockett, a National Historic Landmark. 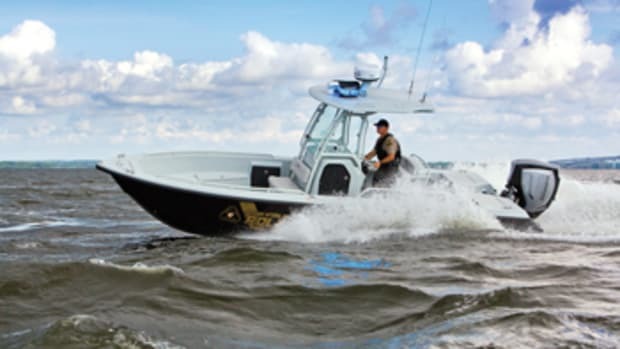 Parish also is one of the founding members of the Chesapeake Bay Buyboat Association. 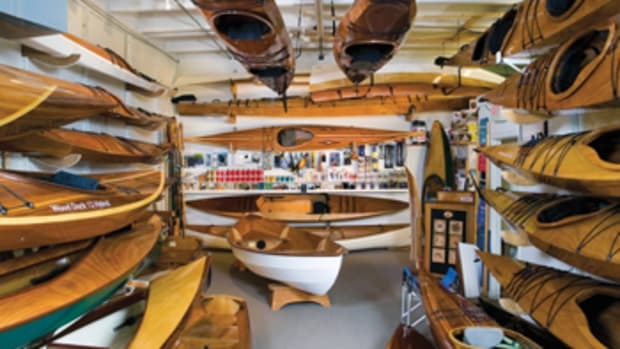 It’s a diverse group of enthusiastic buyboat owners who cruise and meet all over the Bay and beyond, striving to keep the history of these old vessels alive. I meet Parish and his son, Logan, at a local 10-table lunch spot called Twinny’s in Galena, Maryland, one June afternoon. Galena is an Eastern Shore town just south of the Sassafras River and Georgetown, Maryland, where Parish grew up. After ordering sandwiches and iced tea, we start talking about Nellie Crockett, the buyboat Parish bought in 1990, when he was in his 20s. It wasn’t until around the turn of the new century that Parish got serious about restoring vast sections of Nellie Crockett’s hull. Once Parish had the right lumber — the hardest Southern pine he could find from just north of the Virginia capes — he prepped it and put it up to air-dry for four years. It’s a long way down a handful of old, twisting roads to reach Tim’s Rivershore restaurant on the shores of the Potomac River in Dumfries, Virginia. It’s here that I meet Dave Wright, who owns part of Tim’s Rivershore. He’s also the owner of the buyboat PropWash. Wright, like Parish, is involved in the Chesapeake Buyboat Association, serving as a vice commodore for the Southern fleet. PropWash is the latest name this buyboat’s transom has carried, beginning with Agnes Sterling. She is 65 feet, with a 20-foot beam and powered by a 671 Detroit Diesel. Linwood Price of Amburg, Virginia, built her in 1925 — the year Ted Parish’s Nellie Crockett was launched. How Wright came to buy PropWash is a story in itself, and one he starts to tell as we walk down the restaurant docks to see her. “I found her on eBay in 2006,” Wright says. “I always wanted a PT boat like the ones I served on in the Navy, but I could never find the right one. When someone showed me this boat on eBay, my wife and I went down to Florida to look at her. It turns out the guy who was selling her had been in the Navy just like I had been for 20 years. We started having a few cocktails and reminiscing about old times, and, ahem, the more we drank, the lower the price went. Eventually the guy asked, ‘You gonna buy this boat?’ and I did. So we had her delivered halfway up the ditch to South Carolina and then motored her up the Intracoastal Waterway the rest of the way home. Over on the Eastern Shore in Oxford, Maryland, I run into a different sort of buyboat quite by accident one day while poking around Campbell’s Bachelor Point. Inside one of the yard’s huge paint buildings, I find Mr. Jim, a buyboat built not to ferry oysters or freight but as a replica to carry passengers for hire. 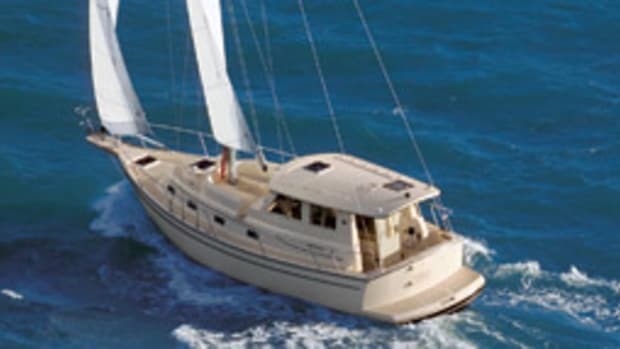 Jim Richardson, a well-known Dorchester County boatbuilder, constructed the 51-footer in 1980 on Le Compte Creek. 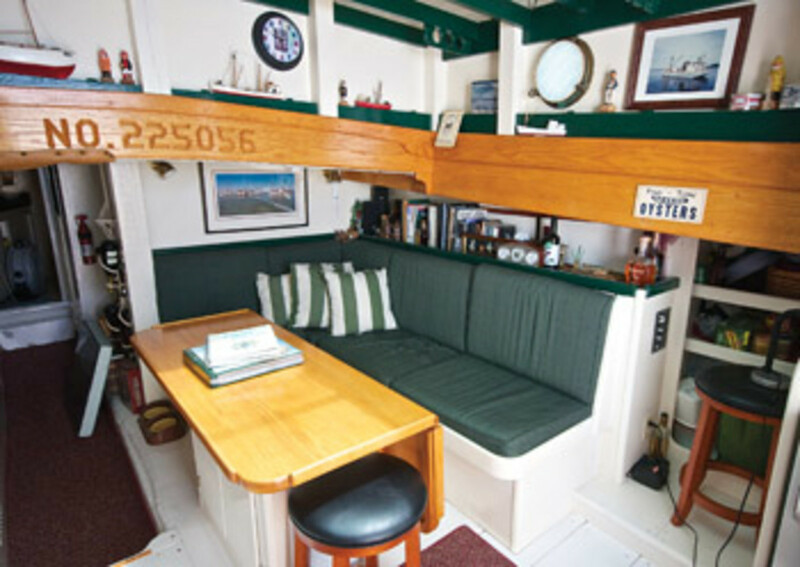 Most recently used as a tour boat by the Chesapeake Bay Maritime Museum in St. Michaels, Maryland, she was sold last year to a new owner who intends to cruise her in the Bahamas. She’ll also pull part-time duty carrying freight from island to island, going back to the roots of buyboat days. 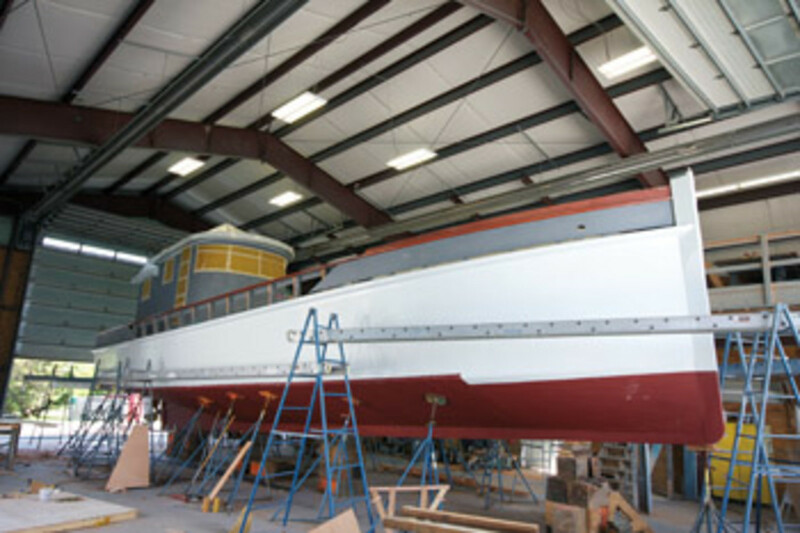 Preparing for that tropical clime is part of the reason for her amazing restoration, which is being done by Andrew Abreu of Abreu Boatworks in Trappe, Maryland.